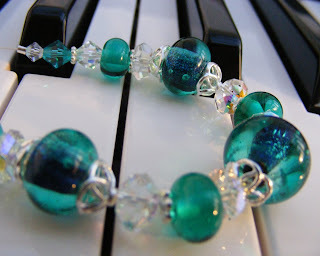 Erika Price Handcrafted Artisan Jewellery: February already? Wow - I can't believe it is February already - where did January go?! It all got a bit stressful when my mother was rushed to hospital with internal bleeding, but they've finally tracked down the problem and she's responding to treatment, so with luck she'll be going home today. And I missed the first couple of weeks of 2009 in bed with 'flu, but am now back to full creating health - in fact, I had a crazy time last weekend, with 15 online sales at my Erika Price shop on Etsy, my best ever!